The Brother MFC-4350 is probably the slowest multifunctional laser device that you will find on the market, or that ever existed. Its print speed is so bad it is almost unmentionable, and almost every feature present in it is either the bare minimum possible, or unacceptable. The Brother MFC-4350 is, in fact, a laser printer, copier, and fax machine all rolled into one, but as one of Brother's earliest attempts at this type of technology, it is completely outdated. The only possible benefits this machine could have in today's office is its simplicity of use, and bargain basement price. It does come complete with a Brother Startcard that helps users connect the device in only 11 easy steps, yet throwing it in the trash can takes only one. The steps claim to take approximately 15 minutes to complete, and users have confirmed this. 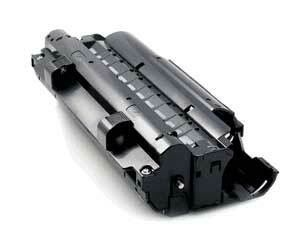 They include connecting accessory parts, attaching a PC cable, adding paper to the tray, and installing a drum unit and toner cartridge. One of the only comments that Brother makes in support of this product is that it includes a one dollar printer cable, in box. The fax memory of up to 130 pages is, though standard on most copy machines, probably the best specification to be mentioned about this aging machine. When one is dealing with a piece of hardware made in the nineties, a user would expect limited performance ability. The Brother MFC-4350 is the epitome of just that. The print quality of only 600 x 600 dots per inch is acceptable for a fax machine, but this unit claims to be usable as a printer as well. For printing, this resolution would be good for text alone. 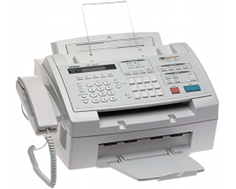 As a fax machine, the Brother MFC-4350 scores no better. The 14.4 Kbps modem is not only old and slow, but loud as well. It can send and receive transmissions no faster than 6 seconds per page, and comes with very few fax features which include dual access and a basic caller ID system that only works when one has the service activated. The copy machine prints with sub par appearance, and seemingly worse than what 600 x 600 dpi should perform like due to the dual nature of this combination machine. Copy functions do include reduction and enlargement, at ratios of 50 to 200%, but with such low resolution, these features are fairly undesirable. Multiple copies can be made in quantities of up to 99 but, while this is technically a positive feature, it seems useless on a device of this caliber. 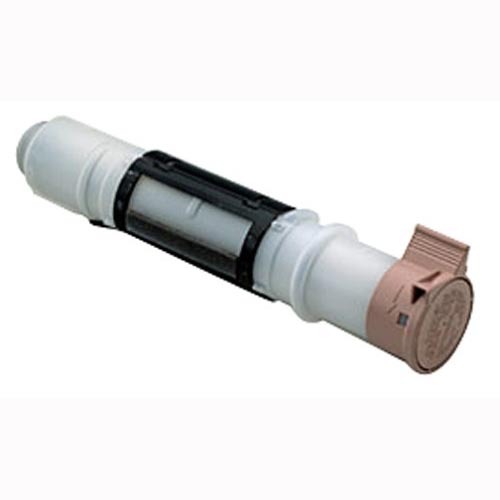 Review it: "Brother MFC-4350 "
In one of the oddest pairings of drum and toner yields out there, the Brother MFC-4350 offers a tiny toner cartridge coupled up with a massive drum unit. With only 2,200 pages average at a 5% yield produced from each toner cartridge, this multifunctional device will potentially need changing often, yet its drum unit is capable of a huge 20,000 page capacity which will rarely need replacing.